Computer science, the basic field of study at the University of Aizu, cannot develop properly without proper attention to basic issues of ethics and human development. These issues are complex and are best explored through a variety of disciplines, several of which are represented at the Center. The Center blends these varieties to extend the frontiers of knowledge. Through the Center's program, the University of Aizu can prepare both researchers and students for work that benefits society as a whole, in Japan and internationally. This is a unique feature of this Center. The Center publishes its own “Annual Review”. Professor Koji Gotoh has studied modern Japanese literature and lectures on literature. His present research subject is Kunikida Doppo and other authors of those days. In addition to that, he is now a course leader of “Japanese Writing”. Professor Noriyuki Kikuchi researches psychology for adolescents and teaches educational psychology and so on. His research theme is “Career choice in the adolescence”. An attitude survey on students' decision of career is underway. Professor Koichi Hasegawa studies Kendo history and teaches physical education and physical training. His research theme is “The systematization and construction of Kendo techniques”. He has been coaching Kendo in Germany and Italy in recent years. Professor Ken Nakazawa researches exercise psychology and teaches physical education and physical training. 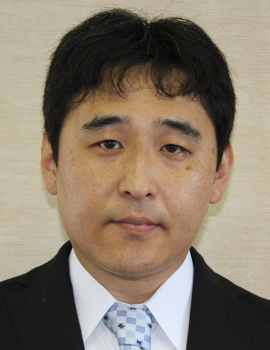 His research theme is “Assessing the stages of change for exercise behavior among preadolescents, adolescents, middle-aged adults, and older adults in Aizuwakamatsu City”. Professor Shigeyuki Aoki who has joined in the University of Aizu from September 2009, researches the History of Science in Europe, especially in 18th England. His research theme is very attractive for the students who concentrate on the Computer Science. He has “Logic” class as well as “History of Science”.